Back then, Patton’s way of life was all about taking risks. “By age 16, I found myself living alone and like I had no future. My mother committed suicide, my siblings scattered and my stepfather left me in a broken-down, abandoned house with no power or water,” says Patton. Barely six minutes away, approximately 8,000 young people close to Patton’s age stroll from class to class on the 73-acre campus of the University of Michigan-Flint, where they’re learning and working to become future leaders. “I might’ve ridden past the University of Michigan-Flint, but I was definitely not part of it,” he says. Today, thanks to Pastor Robert McCathern at Joy Tabernacle on Chevrolet Avenue near Civic Park – the church with the largest young, black, adult male population in Flint – and UM-Flint Academic Advisor and Lecturer of Social Work, Todd Womack, Patton got an opportunity to take a different kind of risk. 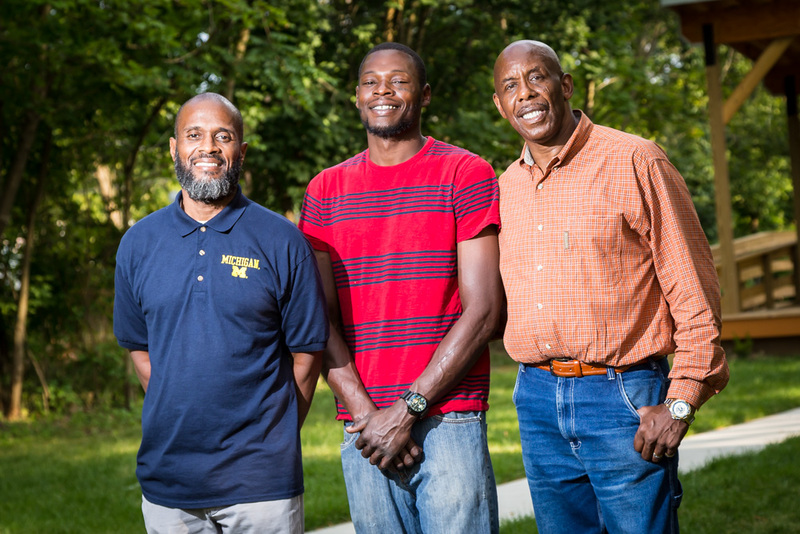 “Once I met Pastor and Professor, they transformed my life,” says Patton, who, two summers ago, sat across from 16 tuition-paying UM-Flint students on the second floor of Joy Tabernacle, where he and nine other “thugs” participated in a semester-long course taught by Professor Womack, designed to, hopefully, change everyone’s lives. His answer back surprised Womack. “Sure, you can teach your students here, in the middle of Civic Park at Joy Tabernacle, but I want ten young men from this community to be able to sit in on the class,” explains McCathern, who is known and respected for never judging his congregation members and believes in their ability to change from street hoodlums to hardworking, church-going, law-abiding members of society. Lovell Coleman, who struggled for many years, is thankful for Joy Tabernacle and the Urban Renaissance Center, a faith-based non-profit connected to the church that handles job training, food distribution, water relief efforts and other community needs. Similarly, Professor Womack intends to leave something tangible for the community to embrace, rather than take something away. “I’ve always been community-based and believed this partnership would bring life to the neighborhood and advance the Social Work Department at U of M-Flint to a new level of community engagement. This was the best prospect for both groups,” says Womack. Fortunately, his department chair, Associate Professor of Social Work, Dr. Otrude Moyo, agreed that the Social Work Department at UM-Flint is committed to building community partnerships that are collaborative and transformative, as exemplified in the Civic Park neighborhood. Students and community members come together to draw on internal capacities and improve quality of life in troubled neighborhoods. 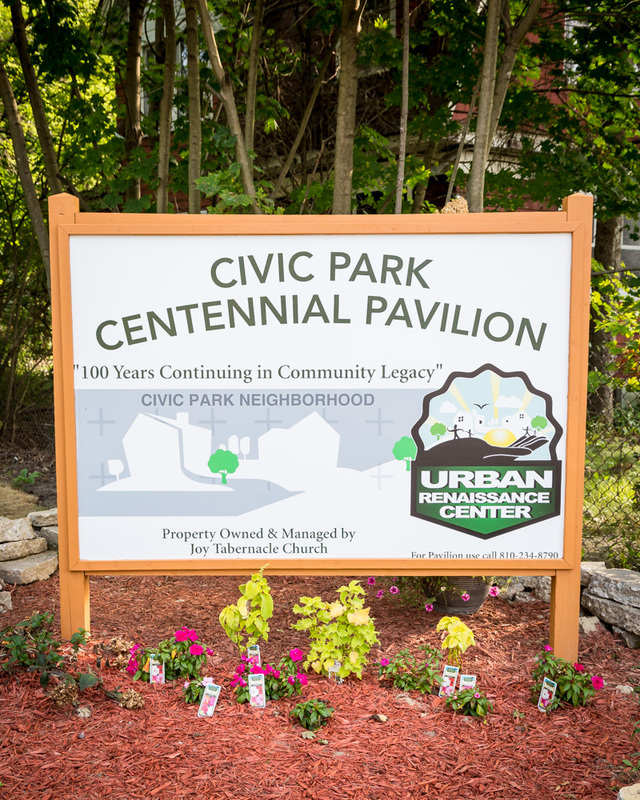 Civic Park – once a pristine and thriving neighborhood but now deteriorated structurally, economically and socially – received revitalization efforts when McCathern and Womack teamed up. “The historic Flint homes in the 48504 zip code were built in the 1930s by General Motors and DuPont,” explains McCathern. “They were a template of one of America’s first planned subdivisions in the booming automotive town, and housed generations of GM employees.” Now, sadly, 53 percent of the houses belong to the Genesee County Land Bank. Vinyl stickers in the shapes of windows and doors are used to cover broken glass and give them an upgraded appearance. 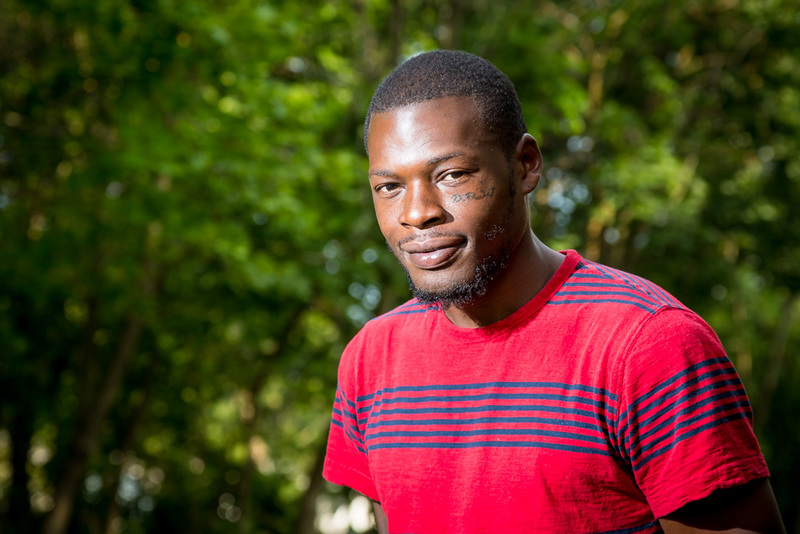 Changes, and something deeper than a façade of windows, came from the partnership between social work students and young men with their neighborhood in need of intervention. Womack rallied to bring in English, nursing and resource planning students from UM-Flint to offer their expertise and brainstorm ways to improve the green space in the neighborhood and increase stabilization. Town hall meetings were offered and surveys were collected to see what Civic Park community members desired. Everyone’s input mattered. 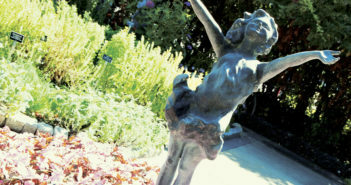 They came up with noticeable developments to boost camaraderie and unite neighbors in a new way. Pastor McCathern’s networking and relationships with vendors such as Lowe’s, Habitat for Humanity, University of Utah School of Social Work, and Forge Flint helped to provide the lumber, supplies and materials needed for the improvement projects. Patton’s lifestyle as a criminal is no longer his legacy to the community. Patton’s light is definitely shining in his neighborhood. For more information about Joy Tabernacle or Urban Renaissance Center, call 810.234.8790. 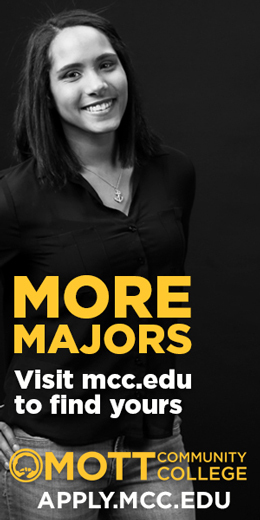 To reach Professor Todd Womack, call 810.762.3390.